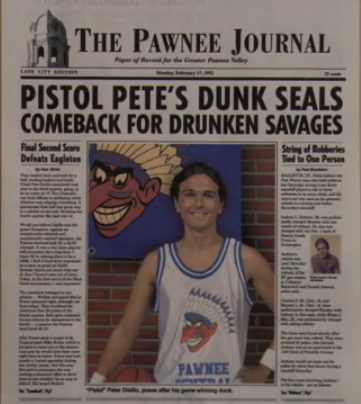 In The Comeback Kid episode of Parks and Recreation (airdate: 1/12/12), Leslie Knope recruits a high-school basketball hero to endorse her political campaign. She reveals that the school's team name was the Drunken Savages. She displays "Drunken Savages" in a newspaper headline with a devilish cartoon chief as the team mascot. She quickly adds, "Team mascot later changed." This bit is meant to be satirical, but it fails. The Drunken Savages name and mascot get five seconds of airtime and the disclaimer only a split second. 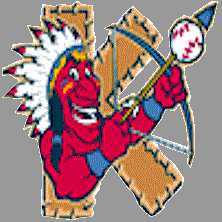 Viewers are left thinking about Indians as drunken savages, not about how the mascot is offensive and deserves to be changed. 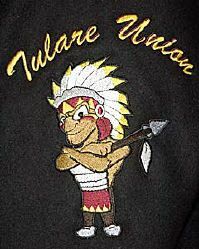 If the mascot was so over the top that it was unmistakably a satire, things might be different. But this faux mascot is similar to several real mascots. In many people's minds, this is what Indians are like. This is a great example of what I've said many times. Simply repeating a stereotype and assuming people will get the "joke" or the "irony" isn't enough to qualify as humor. If the average viewer may or may not get it, the so-called joke fails. 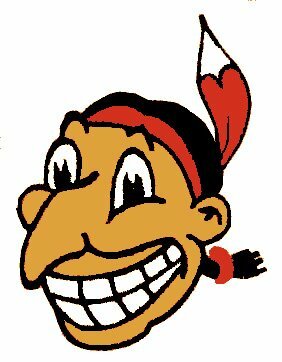 Chris Rock did the best satire of the Indian mascots issue: "Washington Redskins? What's next? The Newark Niggers?" It really summarizes the issue.